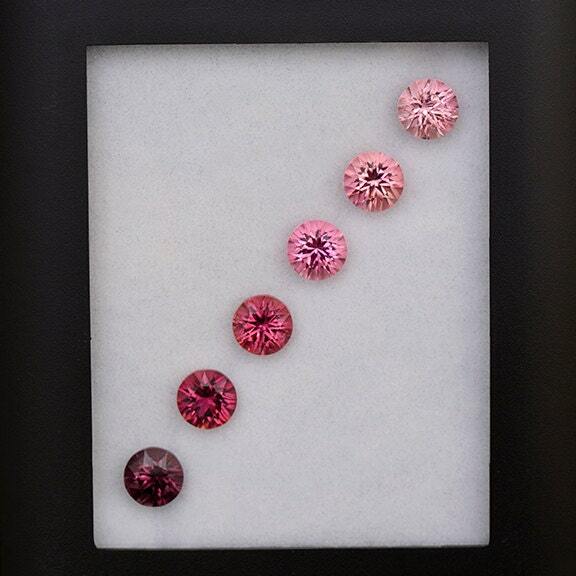 Superb Graded Pink Tourmaline Gemstone Set Matching Concave Rounds 6.03 tcw. This is an incredible set of Tourmalines! 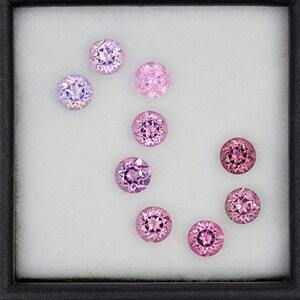 This set features 6 stones all graded in various shades of pink color that will make a breathtaking piece of jewelry. The set was designed for a one of a kind pendant design, but would also make an incredible bracelet. 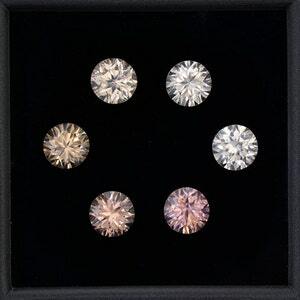 All of the stones are matching concave cut rounds that are radiant and beautiful. Concave cutting is achieved with the use of cylindrical burs instead of traditional flat faceting. The table is still flat faceted to allow for optimal light return. Replicating this set is extremely difficult in this quality and matching qualities. These are so easy to fall in love with! Enjoy! 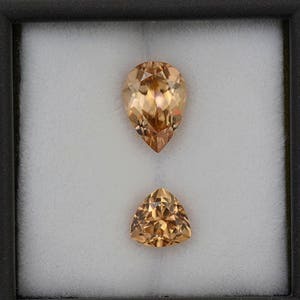 Excellent Silvery Zircon Gemstone Set from Australia 5.25 tcw. 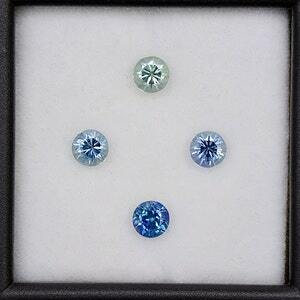 Superb Blue Sapphire Gemstone Set from Montana 1.41 tcw.